The Alfresco Digital Business Platform is an open, modern, secure platform that is easy to build on, integrate and extend. 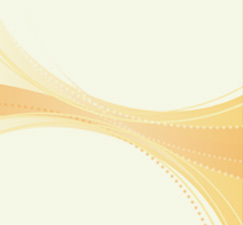 It provides the fastest path for people to interact with information and for companies to respond to changing business needs. 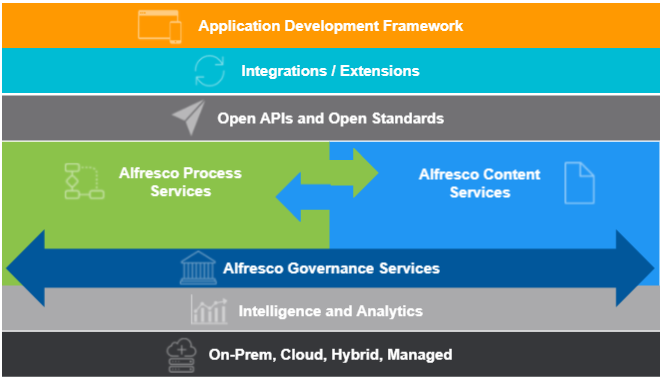 The Application Development Framework provides a rapid, unified experience for building business solutions that use the Alfresco Platform’s tightly integrated process, content and governance services. Using modern UX and UI technologies, including Google Material design and pre-built Angular2 components, allows for quick development of applications that have a consistent, engaging experience across mobile, web and desktop. Integrations with leading applications—including Microsoft Office, Google Drive, Salesforce, SAP, and AutoCAD —ensure that content is accessible within the context of core business systems and processes. A wide range of extensions and open REST APIs provide the flexibility to add more capabilities for specific business needs. High-performance Business Process Management capabilities enable organizations to digitize and streamline a wide range of business processes. Visual process design, decision tables and process analytics make it easy for business users to quickly define and refine processes as operational needs change. Comprehensive Enterprise Content Management capabilities allow users to find, view, collaborate on and securely share digital content, both within and outside enterprise boundaries. Business rules, actions and rich metadata “intelligently activate” content so that information flows to the right person at the right time. The Alfresco Digital Business Platform can be deployed on-premise, in the cloud, or in a hybrid-cloud configuration — whichever best fits your infrastructure, information access, security and budgetary requirements.